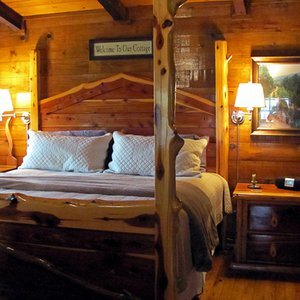 Experience a romantic getaway in the heart of the Table Top Mountains. 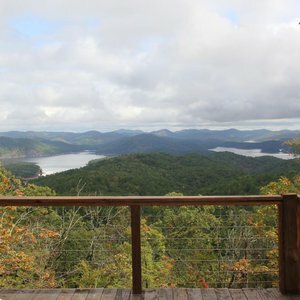 Hidden Hills Hideaways is located on 100 scenic acres in south-central Oklahoma. Two private and secluded cottages are available for your unique getaway. "Windmill Ridge" is a western luxury cottage overlooking a wooded ridge, featuring a tub for two in a bay window and a wood deck, perfect for viewing an awesome Oklahoma sunset or gazing at the panoramic night sky. "Coyote Moon," a Santa Fe-style cottage, features a charming claw-footed tub and has a cozy rock courtyard, which looks out into the forest. Take a hike or take a nap. Fish, bird watch or explore the diverse landscape. There is also a pond perfect for paddle boating. Relax and unwind at Hidden Hills Hideaways and discover this secret gem. From I-35, take Wynnewood-Elmore city exit. Go west on Hwy 29 (Exit 66) approx 17 miles, then 2.8 miles north on County Rd 3068.